Our October trial has come and gone. 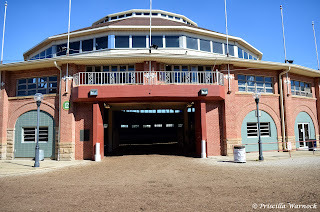 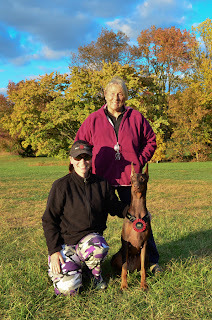 It was a great time as usual, with some phenomenal runs and the always fun times with our friends both human and canine. 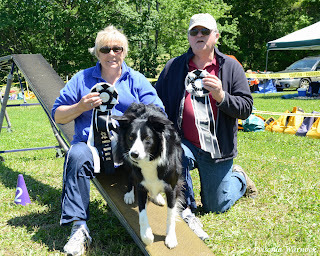 We had a very successful raffle this year that will contribute to some great new equipment for the club. 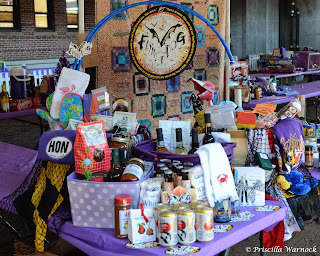 Thanks to everyone who participated, be that by donating items, assembling baskets or buying tons of tickets to try and win a prize! Congrats to all the raffle winners. Cathy Cage & Casey- Versatility NATCH-20!!! 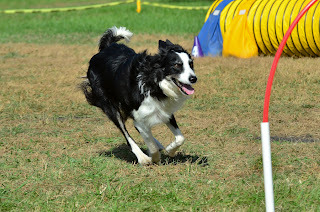 Scott Casino & Summer - NATCH-10! Sam Lietz & The Schatzinator - NATCH-10! 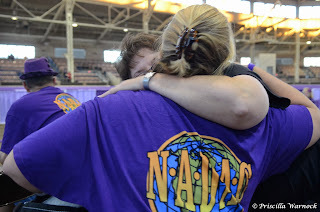 Debi & Gabe - NATCH-5! Cathy Cage & Clayton- NATCH and Versatility NATCH-4! 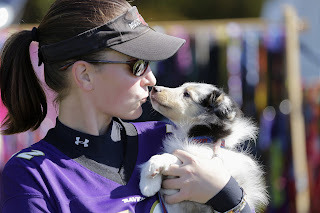 Katie Rash & Bella - NATCH-3! 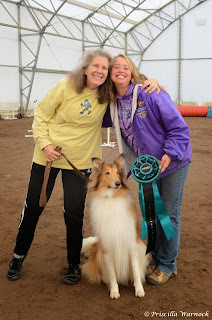 Scott Casino & Cali - Versatility NATCH-2! 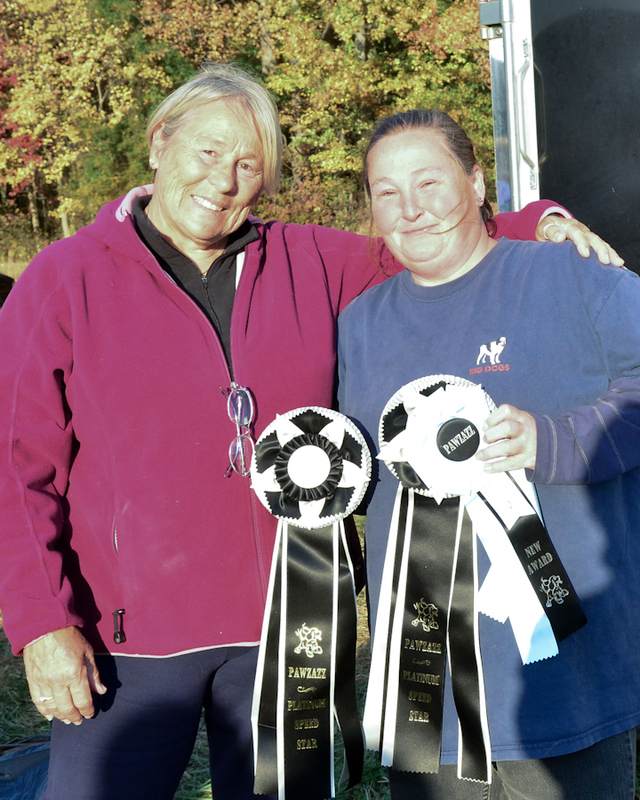 Diana Deadrick & Chesnee- Elite Triple Superior and TRIPLE TRIPLE SUPERIOR! 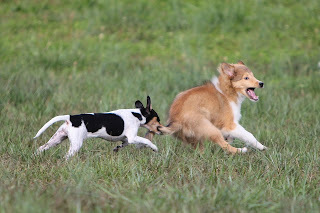 Ralph & Buster - First Q and then 2 more! Big congrats to our High in Trial teams as well, Elite - Nicolette Eaton and Canon, Veteran - Jean Wilkins and Kopper, Open - Beth Strother and Keegan, Novice - Erin Batchelor and Lola! 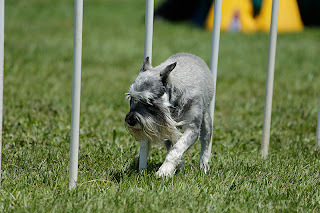 Well done all of you, great consistent teams who are putting it all out there on every run. 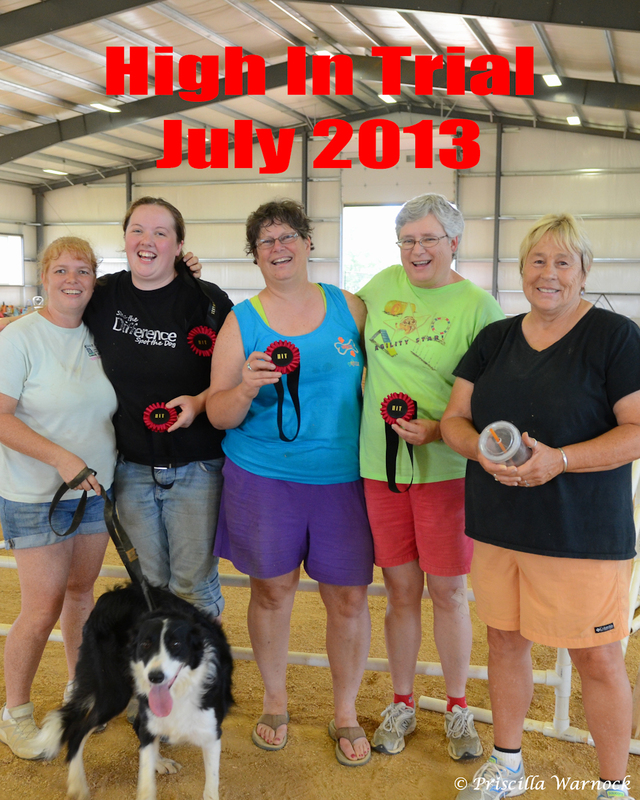 It was a great 2013 trialing with you all, have a great holiday season and we will see you in January to kick off 2014!! PZ scores big at NADAC Championships! 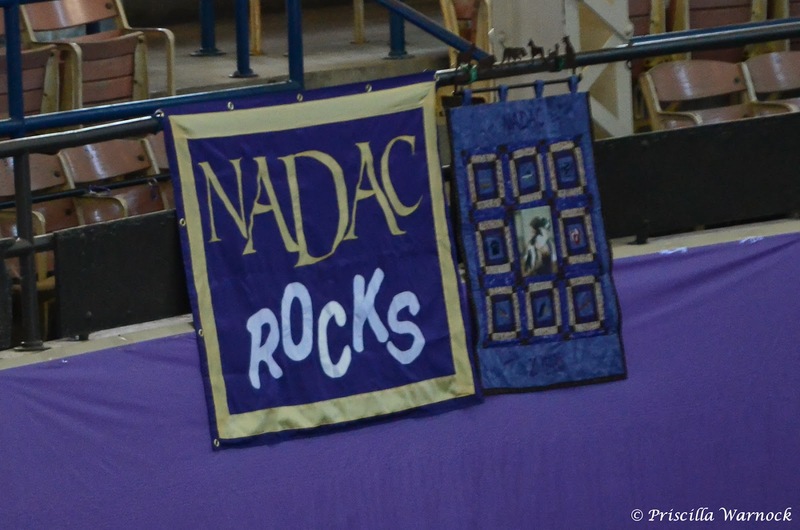 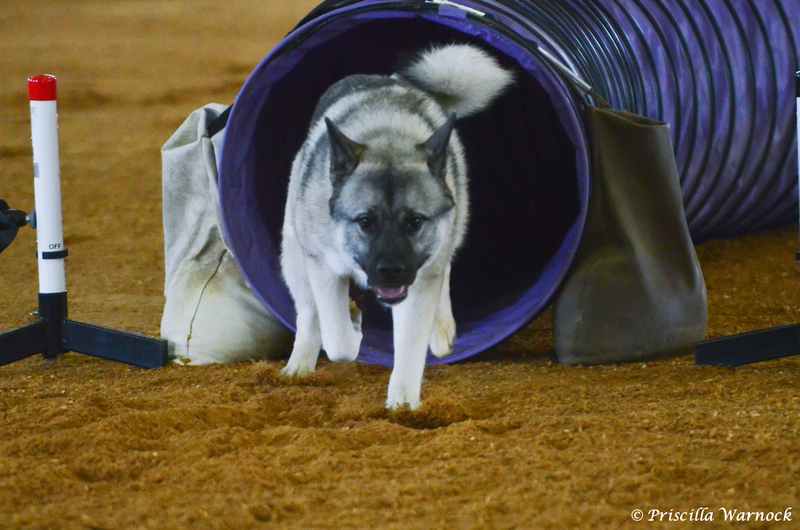 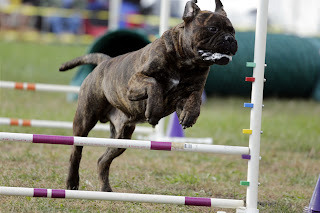 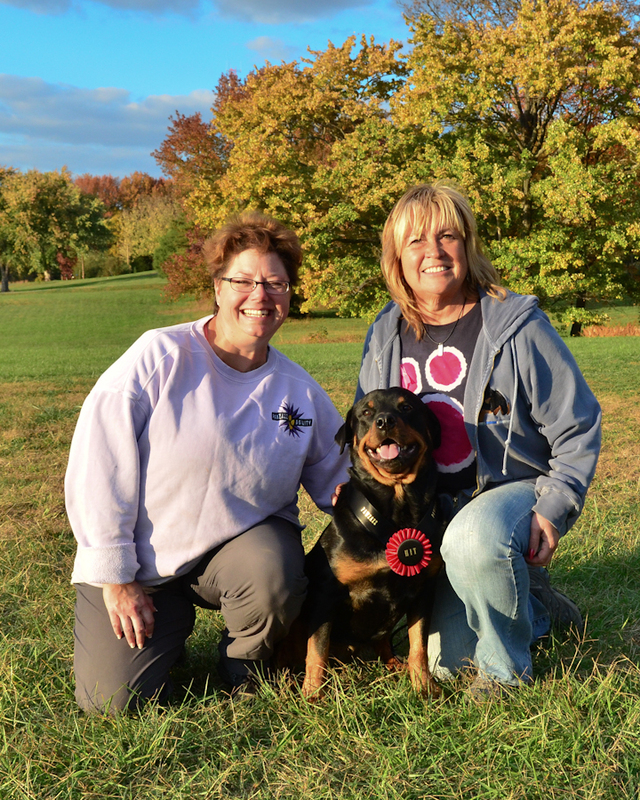 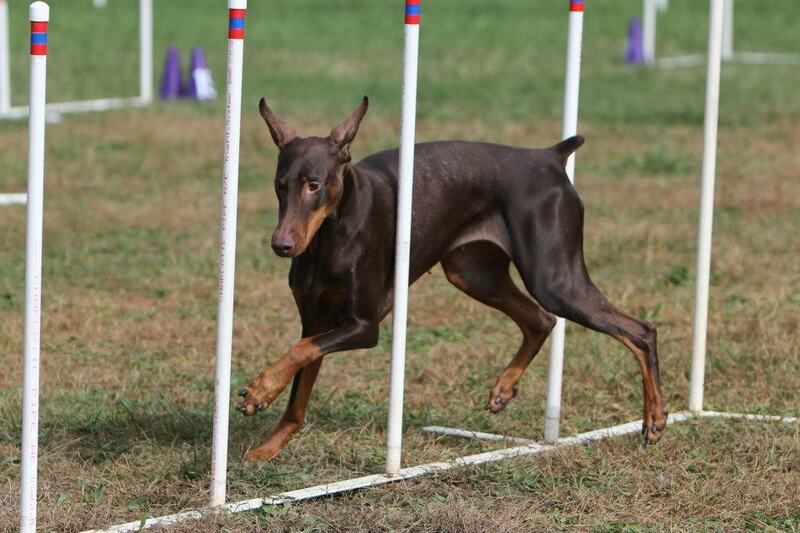 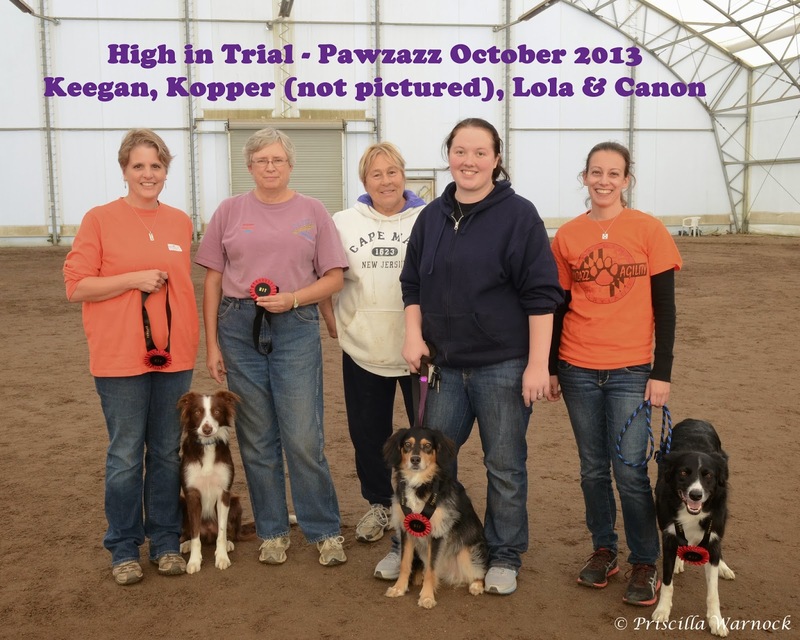 PAWZAZZ, a big hearted team from a really little state, was fabulous at the 2013 NADAC Championships! 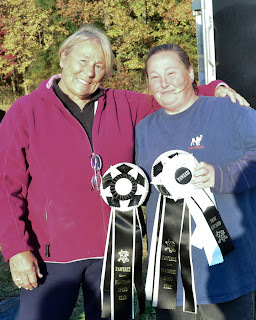 I will shortly list all of their accomplishments but before I do that, you, the reader should know that all of the ribbons and trophies fade into the background of this very special, gracious, supportive and caring team of people who all went to Springfield with visions of victory but they never let that become more important than the overall needs of their teammates. There were 9 regular divisions plus 4 other divisions. The regular divisions required running for 4 consecutive days on tough and challenging courses. 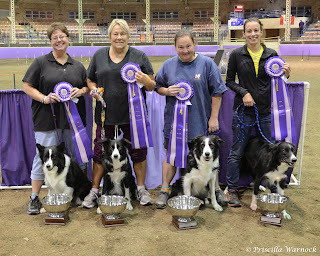 The other 4 divisions required running for 6 consecutive days combining both pre-championship and championship results! 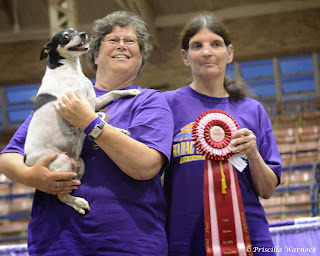 In the 9 regular divisions, we had entrants in 6 of the 9 divisions. In Double Digit Veterans Large Dogs, Priscilla Warnock and Lefty her Golden Retriever, had some great runs with some nice placements. 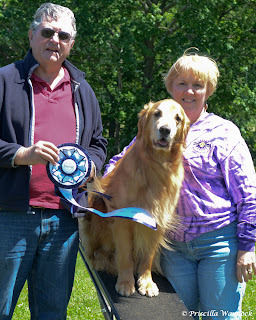 Lefty was also the High Scoring Double Digit Golden Retriever with 8 out of 9 clean runs! 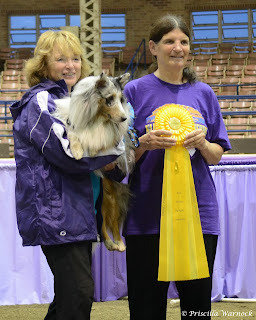 Also, Jean Wilkins and her Aussie Kopper ended up 6th overall! 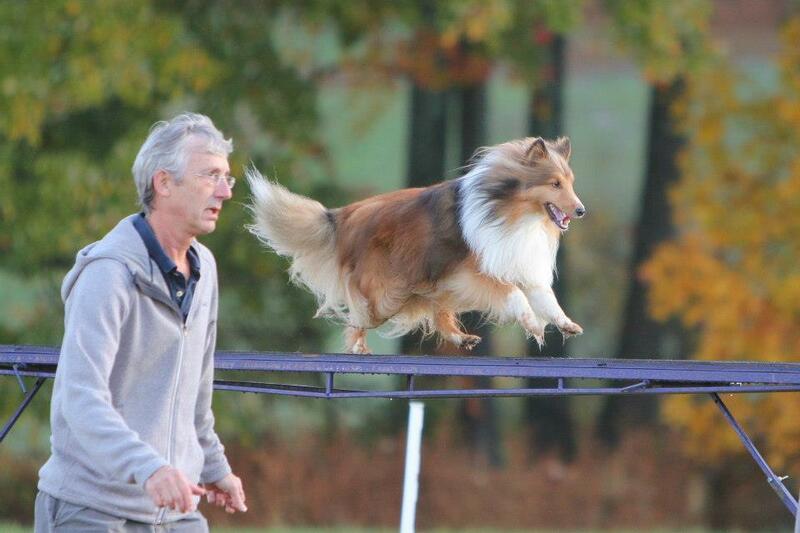 Tom Moloney Harmon and his Sheltie Piper also had some extremely nice runs. 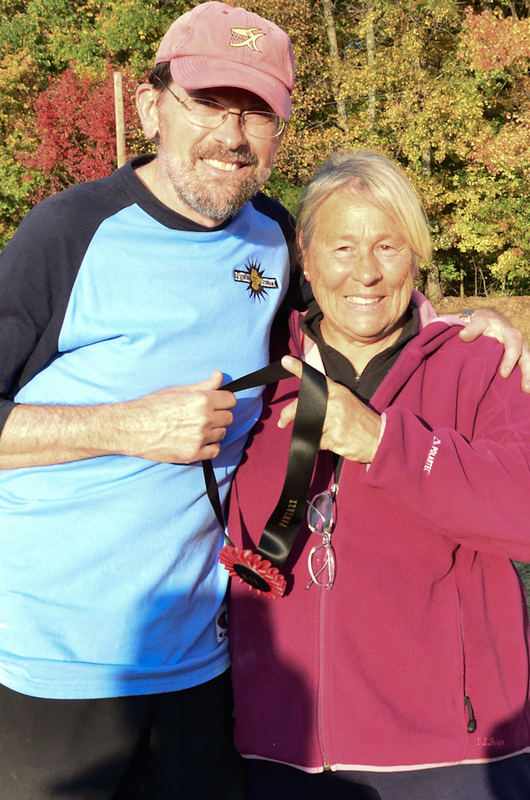 In 12” Regular, Pat Moloney Harmon fought hard and had some brilliant runs! She and her Sheltie Beckham came in 2nd Overall! 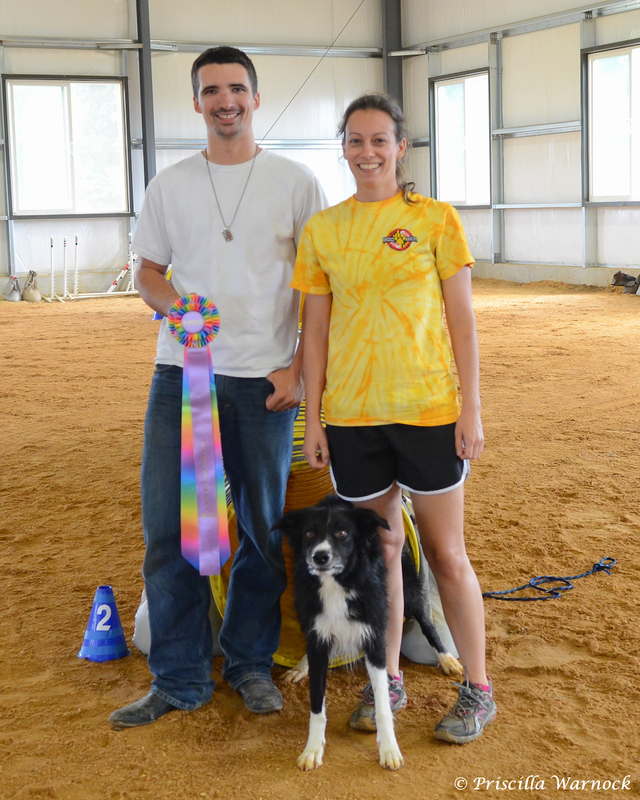 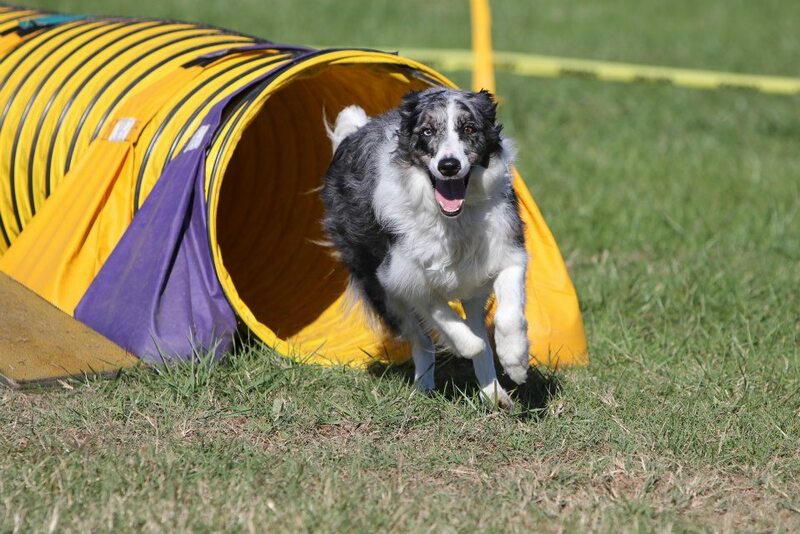 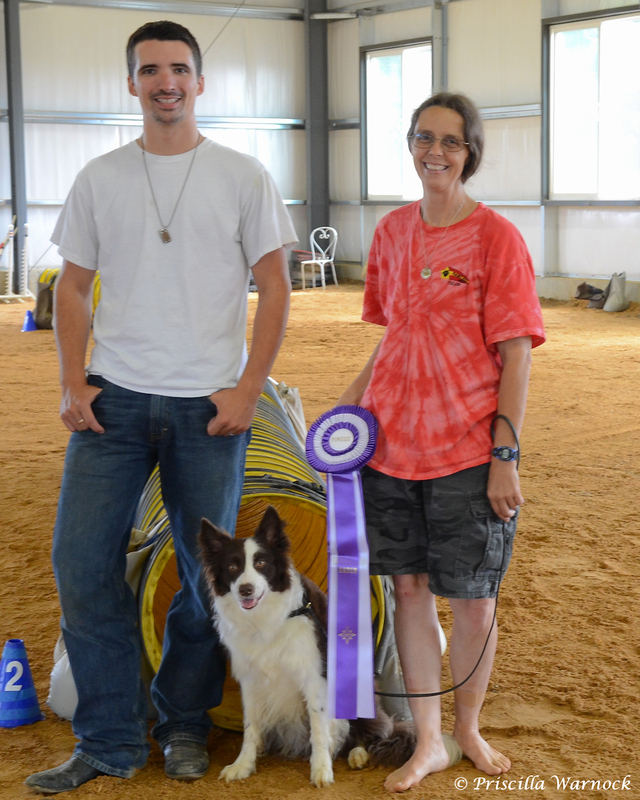 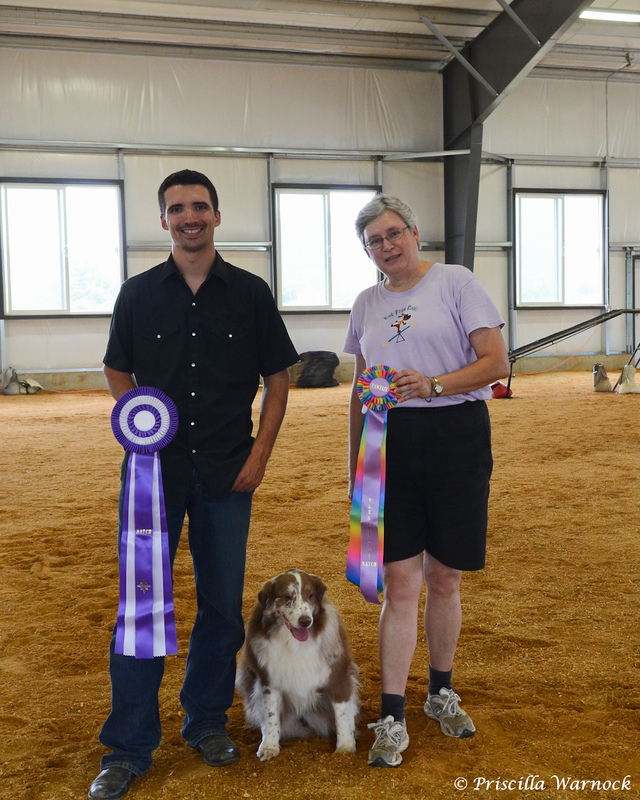 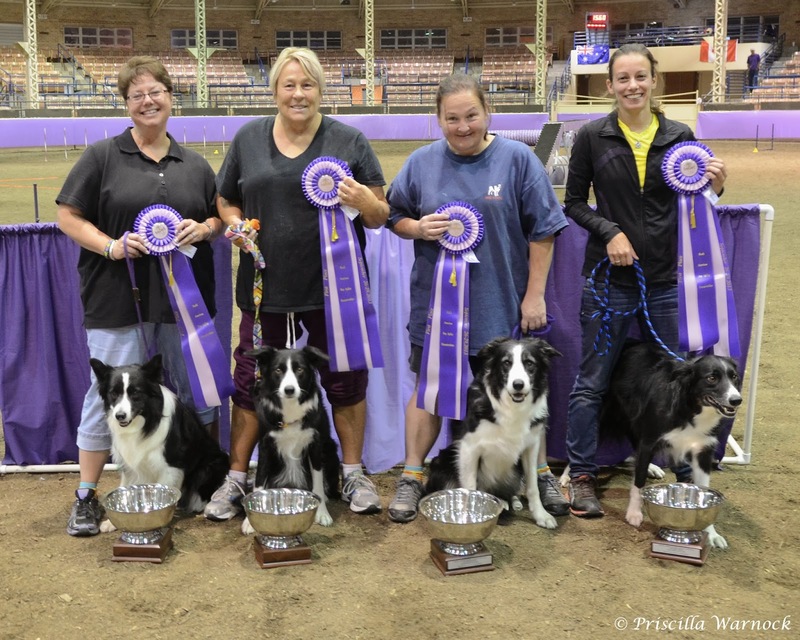 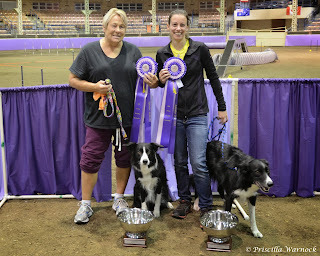 In 12” Vets, Paula Goss and her Border Collie Trae blew everyone away winning their division with a 63 point lead!! Also in that division, Beth Cecil and her Border Collie Talon had some great runs including one breathtaking 1st place run! 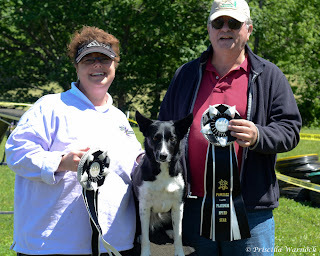 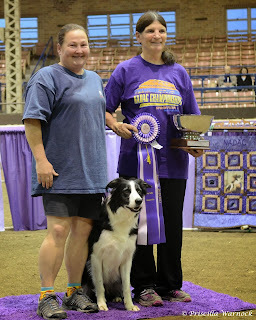 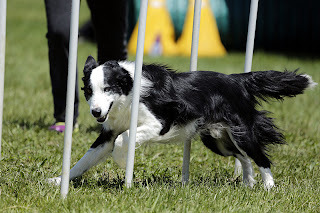 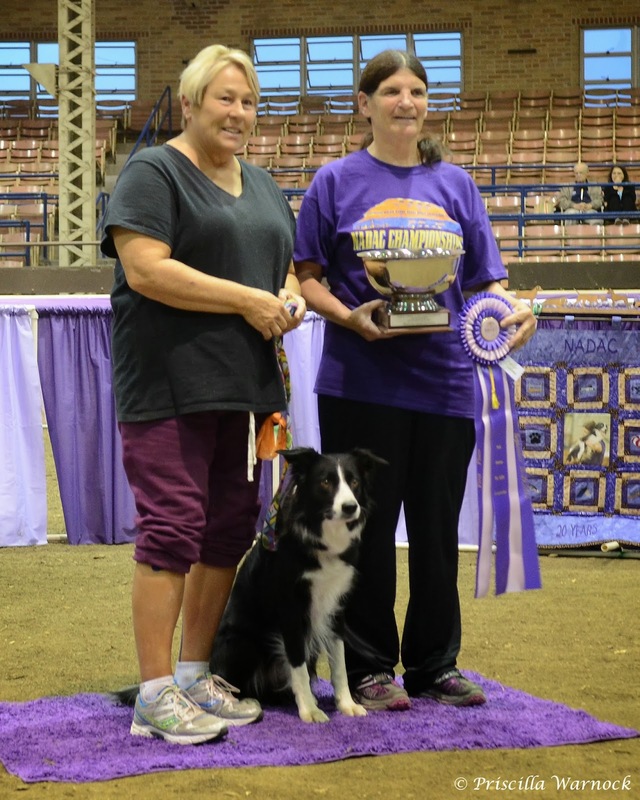 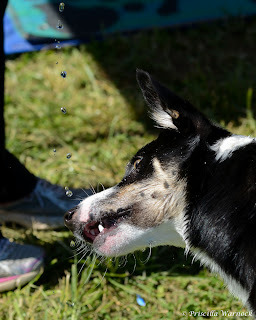 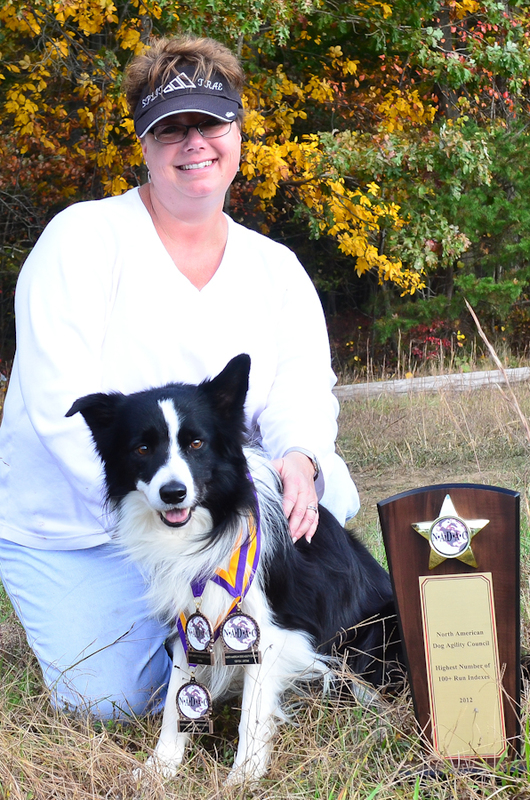 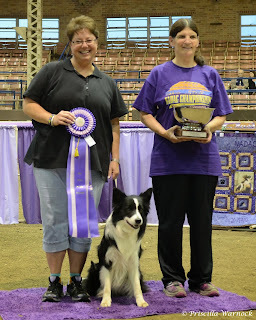 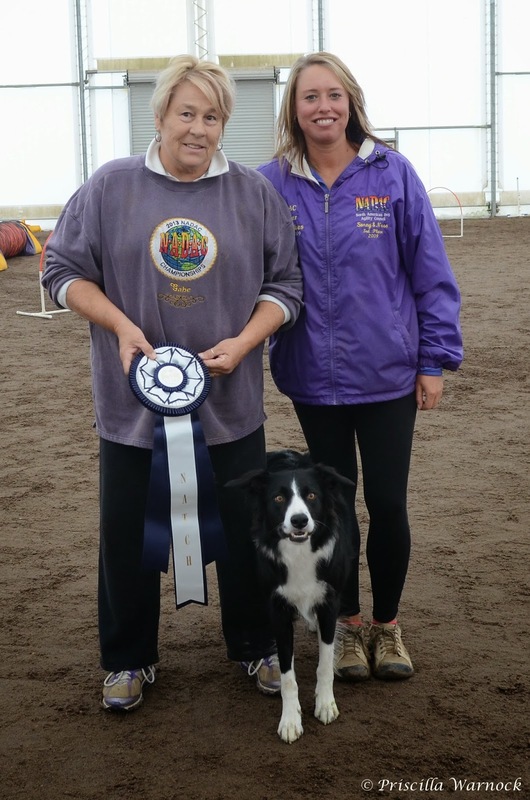 In 16” Regular, Debi Hutchinson and her Border Collie Gabe (brother to Canon who you’ll read about in the 20” division), won their division in a hard fought battle! 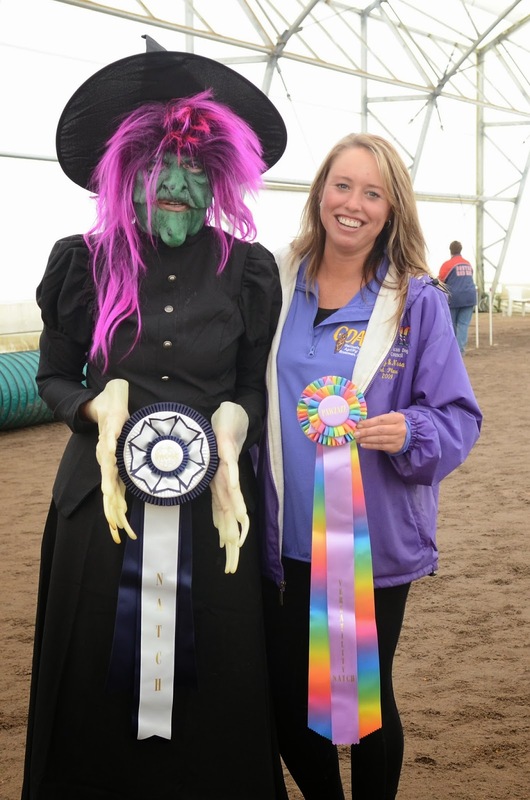 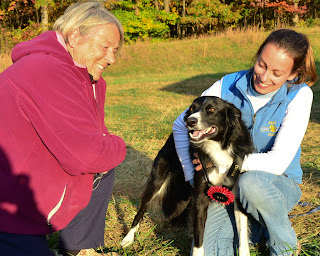 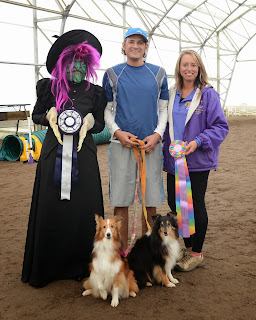 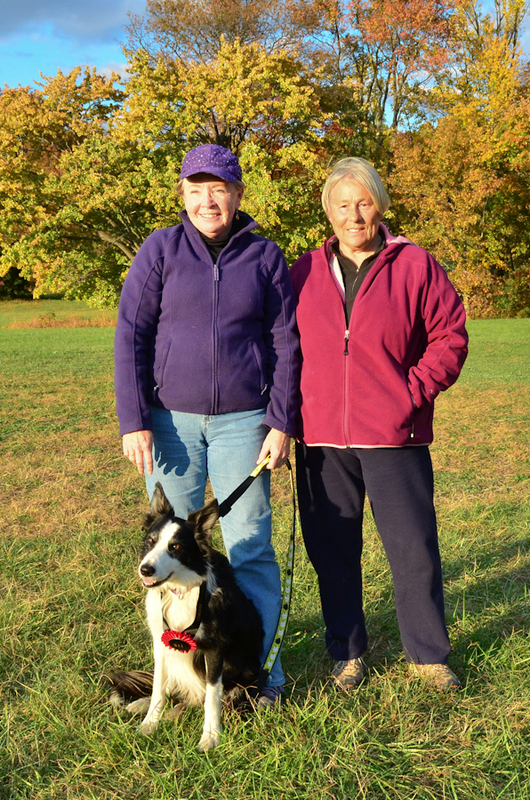 In third place overall was Paula Goss and her Border Collie Tess who really got it together for the championships! 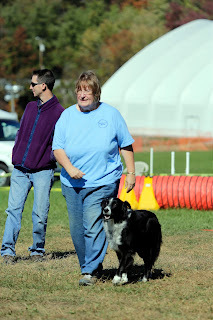 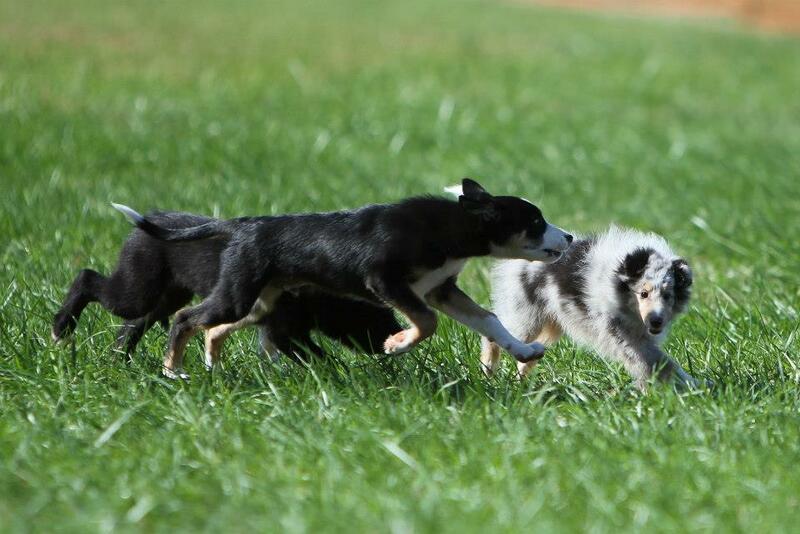 Deb Baracco and her Border Collie Cash also had some great runs in this very tough division. 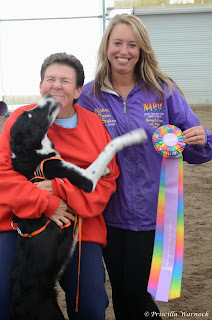 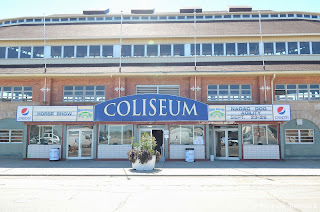 Pris Warnock’s Robey showed energy and drive and potential for a great future in this sport! 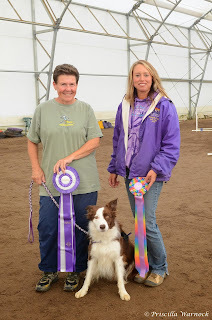 Paula and Tessie taking third in Tessie's very first Champs! 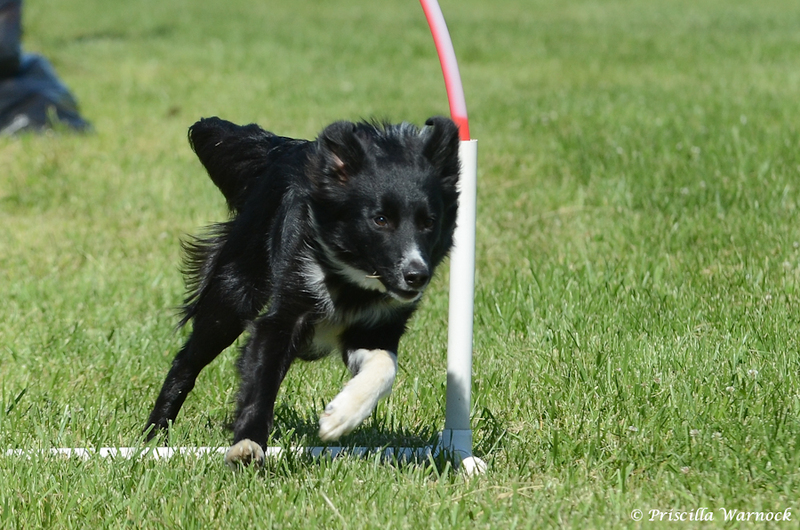 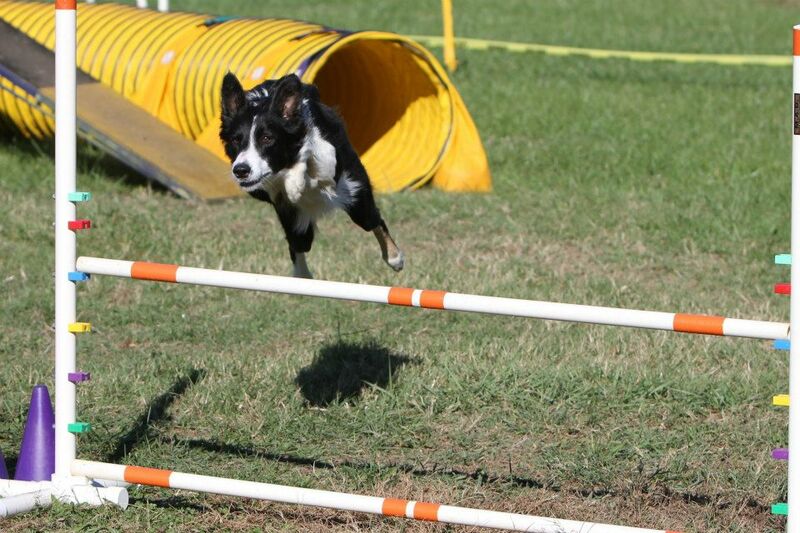 In 16” Vets, Deb Baracco and her Border Collie Jet blasted away the tough competition winning the division. 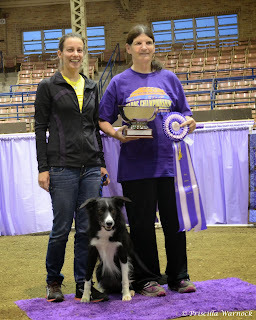 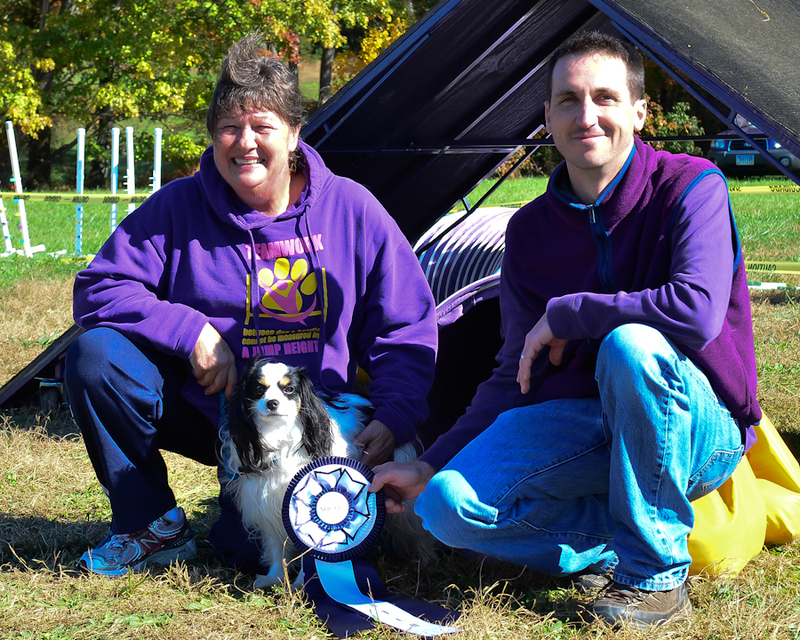 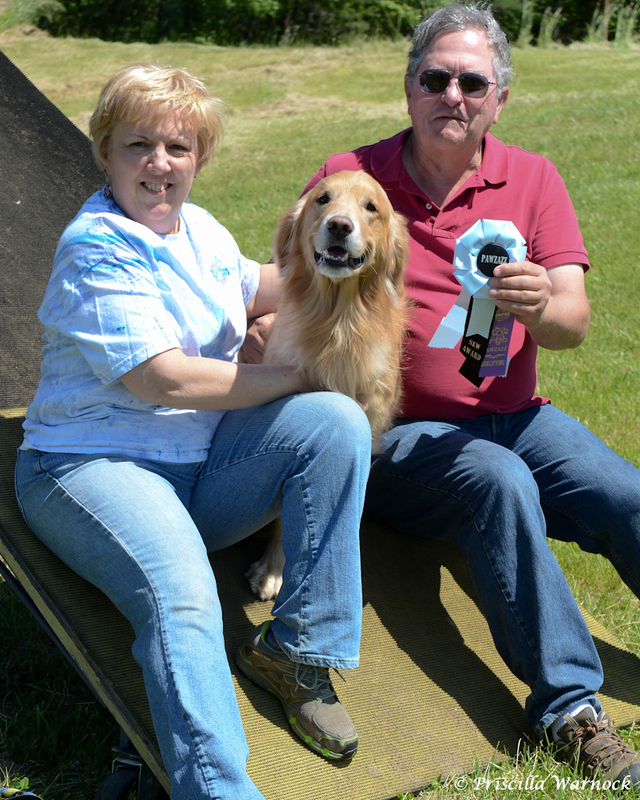 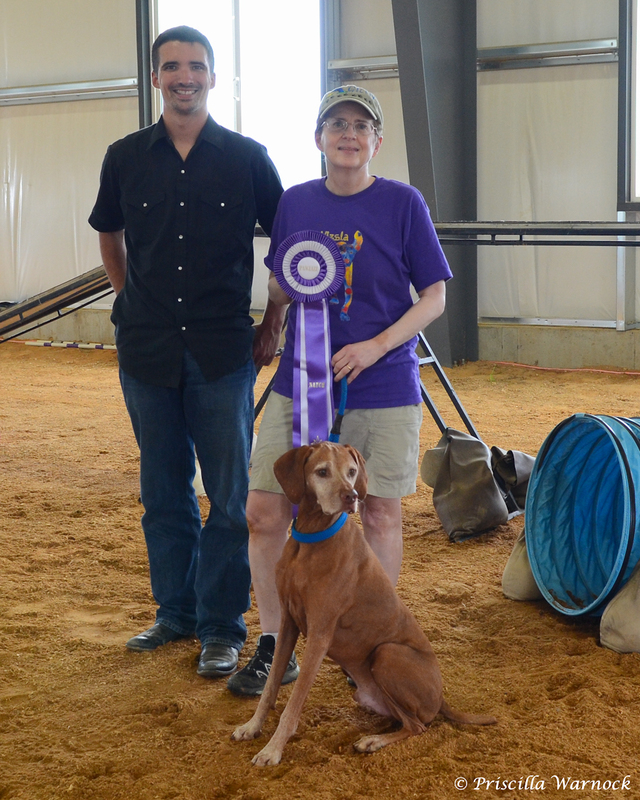 In 20” Regular, Nicolette Eaton and her Boder Collie Canon, littermate to 16” Gabe excelled and won their division. 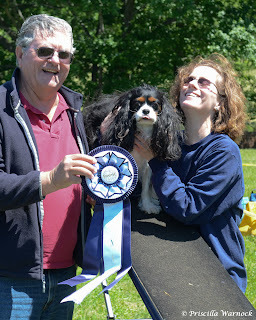 As far as we know, this is the first time littermates have swept 2 divisions! 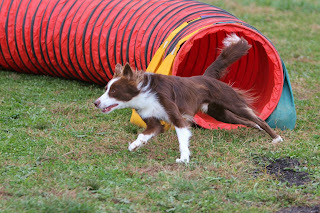 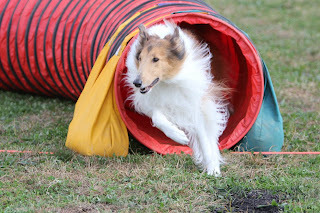 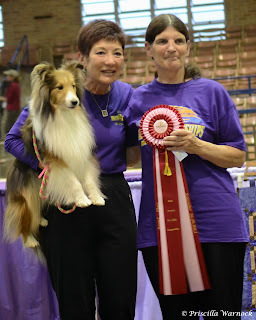 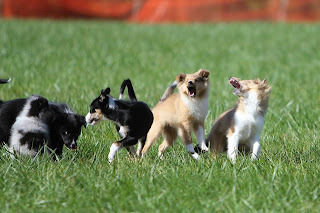 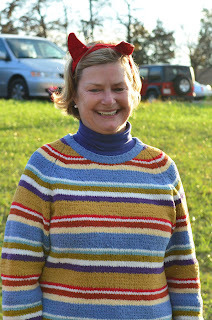 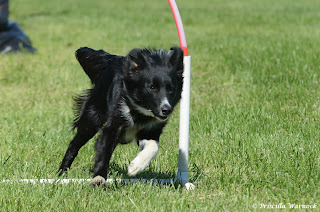 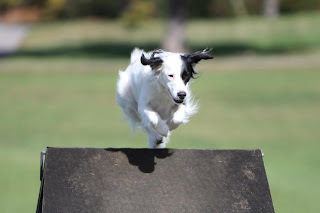 In Triple Crown, Judy Whitbred and her very young Sheltie Pebbles had stunning runs that were thrilling and she bounced around from 1st to 3rd, ending up in 3rd place overall. 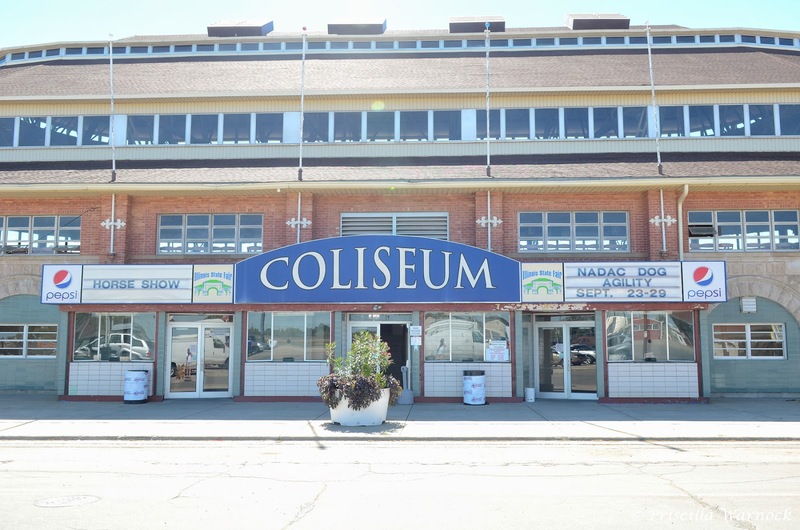 Jean Wilkins and her Aussie Zephyr also had some solid and happy runs as did Catherine Christianson and her Smooth Collie Katydid. 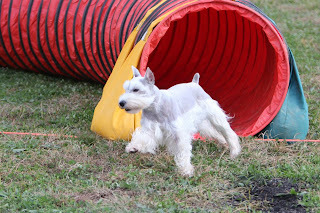 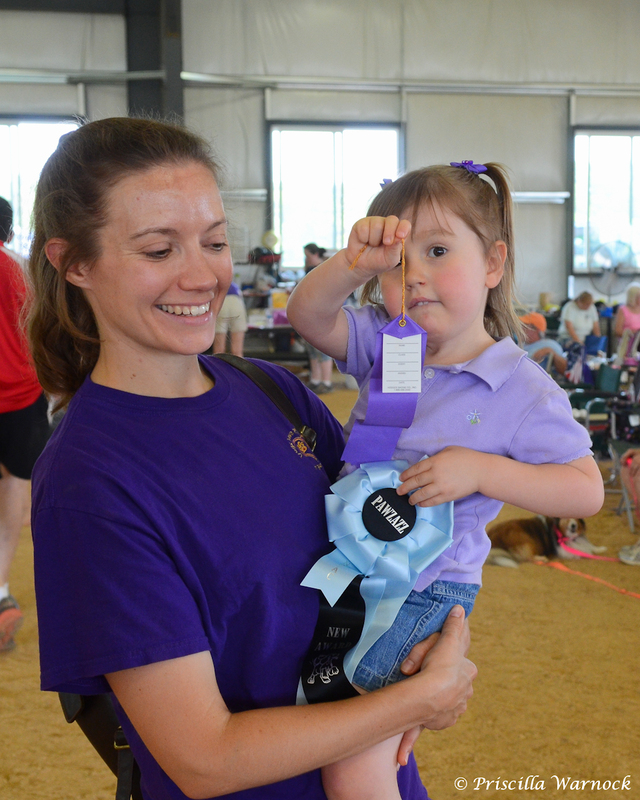 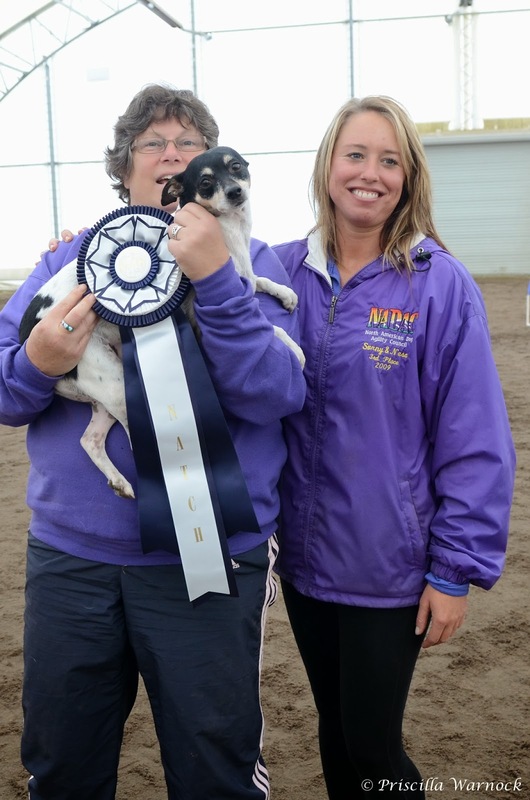 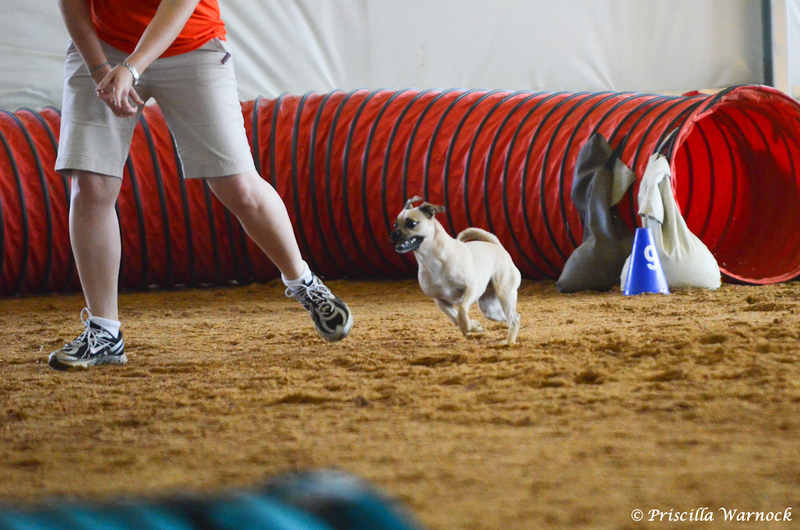 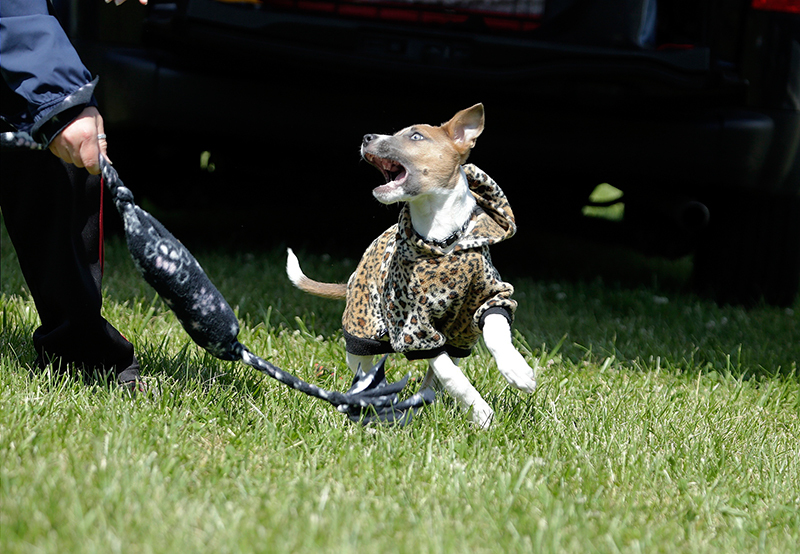 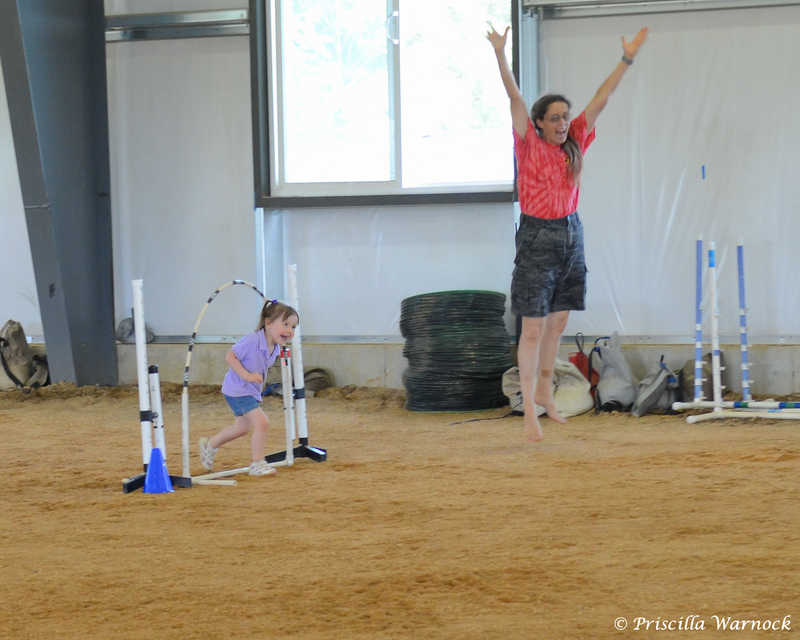 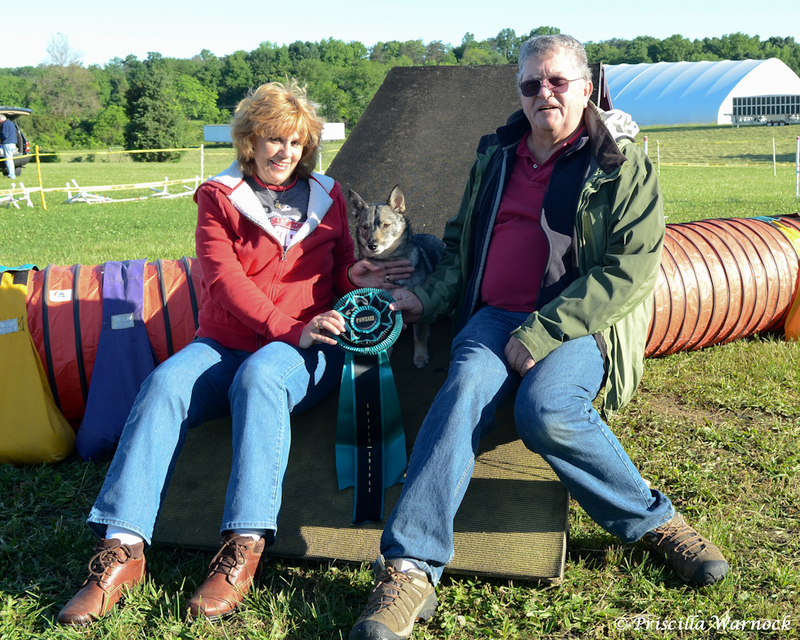 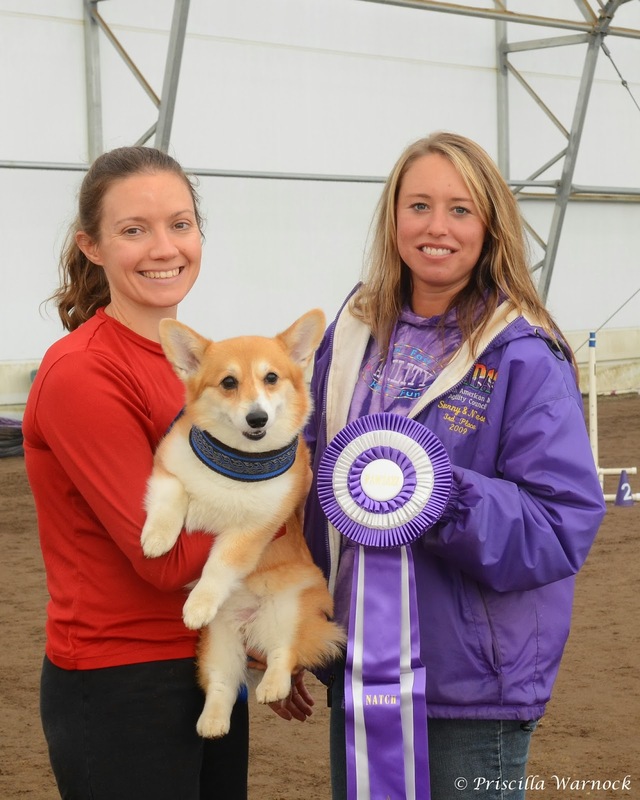 In Starter Stakes, Sam Lietz and her Rat Terrier Schatzi battled their way into 2nd place! 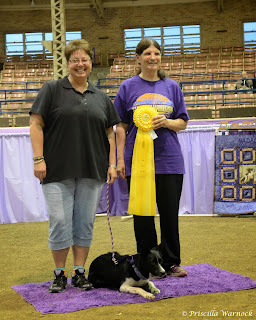 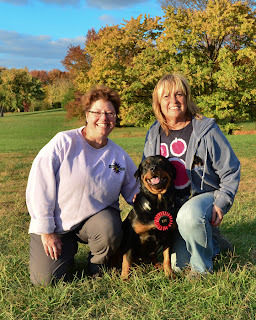 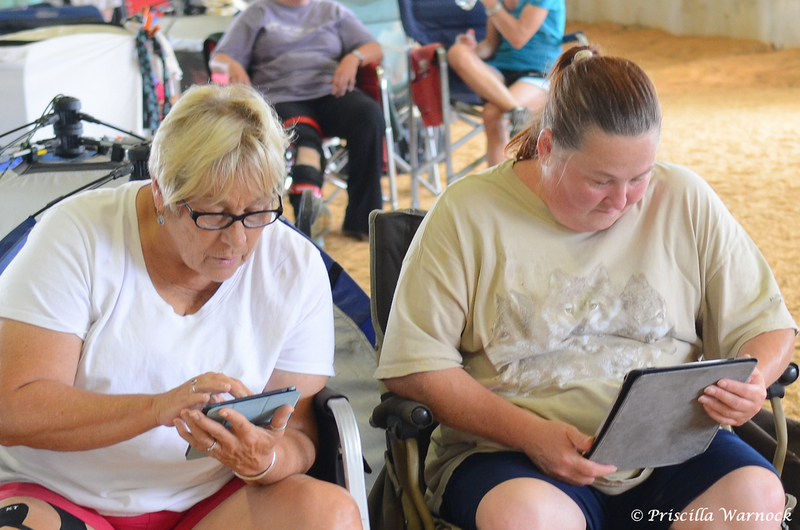 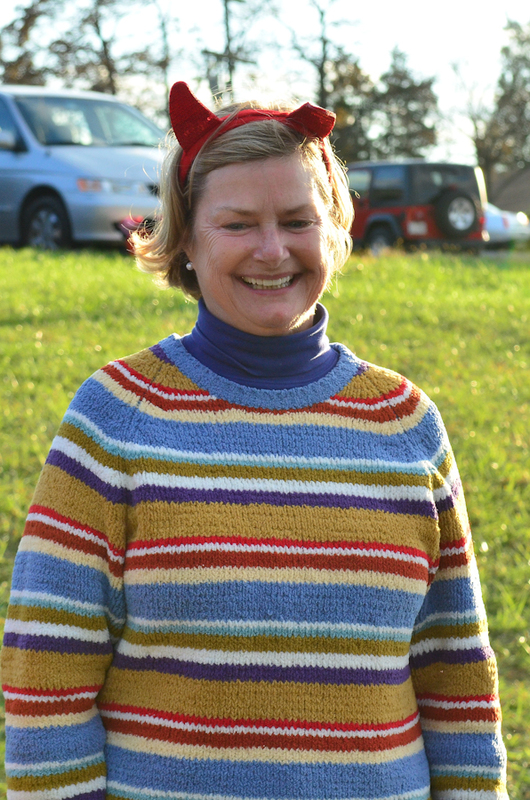 There were several special awards earned by PAWZAZZers, but possibly the most special was the awarding of the Lucky Award by Sharon in a 3-way tie to Deb Baracco, Scott Casino and Cathie Cage. The Lucky Award is awarded to the teams that exhibit the best relationship and most represent the spirit of NADAC at Champs. It is a huge honor and went to 3 very deserving teams. Judy Whitbred and Pebbles - High Scoring Sheltie, High Scoring Blue Merle Sheltie and more? 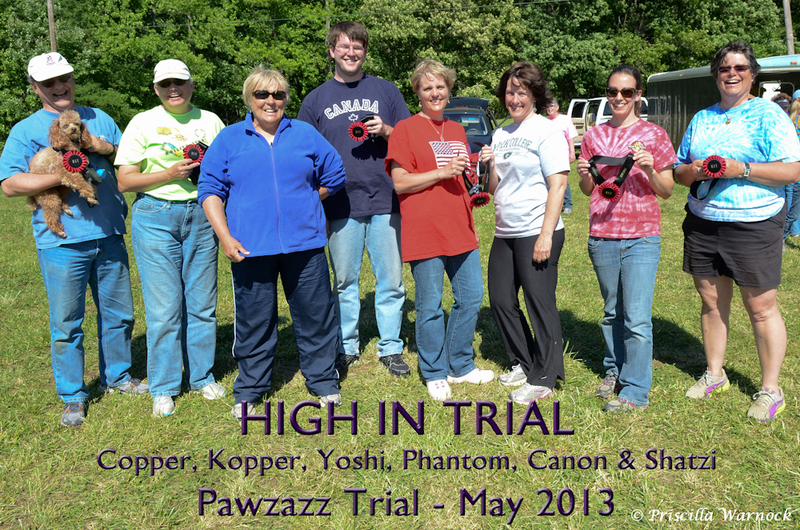 From start to finish, every member of PAWZAZZ was the heart and support for every other member there and it showed. 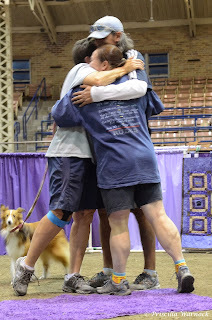 They cheered not only for each other but for everyone with a good run or a really great try, even those they competed against. TEAM PAWZAZZ, a force on the course! 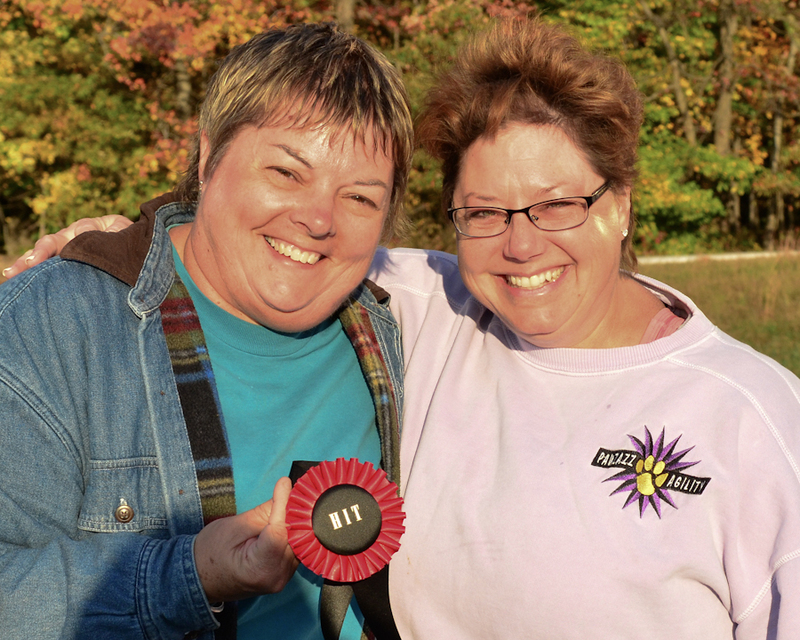 Champs is all about camaraderie, friendships new and old.